Call 704-935-5202 to schedule your first appointment. When you’re dealing with hearing loss and you're looking for a dependable hearing solution to help you experience more in life, why not give Miracle-Ear® a try? We’re America’s most recognized brand of hearing aids. We're your source for hearing aids in Monroe, NC, and our Hearing Care Specialists will be here to make it easy to find the best solution for your needs. At our hearing aid center, you’ll find the highest quality hearing aids on the market, and that includes the industry-leading advancements in our new GENIUS™ Technology. GENIUS™ Technology will help you hear natural sounds without wind noise and bothersome resonances. Our hearing aids are discreet, and you can wear them with confidence. If you want more, our hearing aids can be equipped with Bluetooth® technology to help you hear television, phone calls, and music with more clarity. The good news is that nine out of ten people can experience better hearing with the assistance of a hearing aid. At the independently owned and operated Miracle-Ear center in Monroe, we offer a variety of services that includes free hearing aid repairs, hearing aid fittings, and a free hearing test*. We have hearing aids that reduce feedback or that can be managed with your phone. Come by our location to discover and experience the Miracle-Ear® advantage. I've enjoyed a gratifying career in the medical field for the past 25 years. 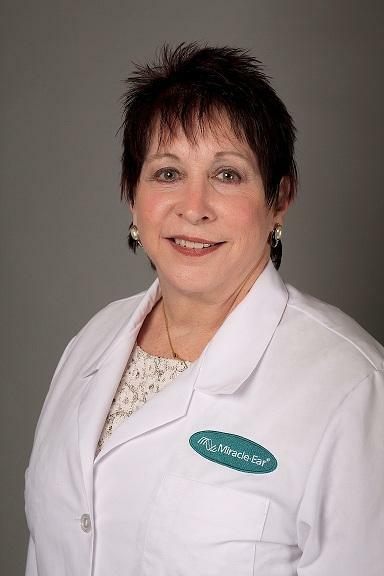 My desire to have an even greater impact on the health and well-being of patients lead me to a career with Miracle-Ear, where I am a Board Certified Hearing Instrument Specialist. The relationships I have built with my patients goes beyond a career or a job; my patients are part of my Miracle-Ear family. I treat each and every patient just like I would my own family. Being a Hearing Instrument Specialist is the most rewarding career I have ever had. Prior to coming to Miracle-Ear, I watched my own family members struggle with not being able to hear and understand what was being said. Today, I can tell people of my family's experience with hearing loss and how with a proper evaluation and selection of hearing aid- our lives were changed because they could understand speech again. I love giving this same experience to the hearing impaired and their families in my community. I once heard a quote by Hellen Keller: "Blindness separates you from things, but deafness separates you from people". It is my desire to give all my patients the ability to hear all the sounds of life and living. Everyone deserves to hear the beauty of the sounds of life. I am here to help. Better hearing is just a phone call away. Call today and set up an appointment to meet with me for your complimentary hearing evaluation. I have lived in North Carolina my entire life. I am an avid reader for pleasure and business. I enjoy traveling and have been fortunate to experience many diverse cultures. I love to volunteer and give back to the community, and I enjoy spending time with my wonderful children and my 6 grandchildren. Elizabeth has been with Miracle-Ear since December 2014 and wants nothing more than to grow with this company. She enjoys working with a team that will go out of their way to help people with their hearing needs. She takes pride in the ability to help others understand the importance of their hearing health. 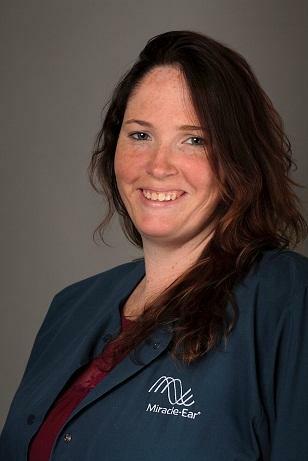 Elizabeth is currently working on her degree in Medical Office Administration at South Piedmont Community College. The medical field has always played a big part in her life. Elizabeth is married to her husband of 18 years and they have two beautiful boys. She and her family enjoy camping, fishing, trips to the beach and mountains, and spending time with each other and friends.